By now, OutdoorFest is underway and I spent a gorgeous Sunday afternoon uptown with a bunch of hunks. Bar crawl with college friends? Nope. Brunch with a handsome stranger? Wrong, again. 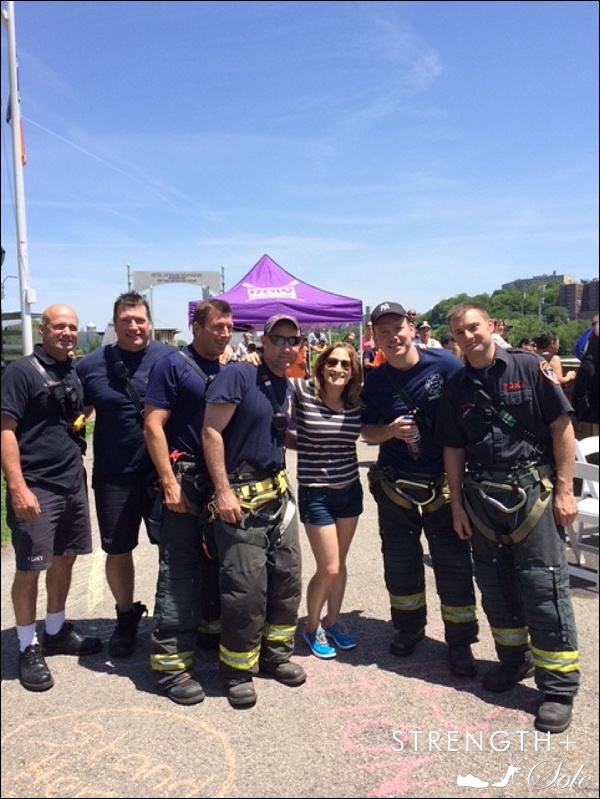 Hanging with 6 burly firemen who could whisk me from a burning building in seconds? Yup! 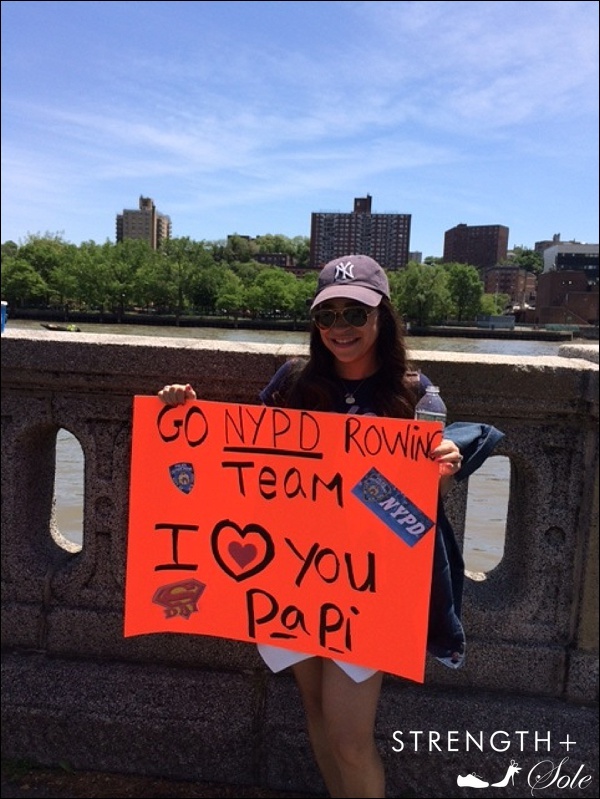 It was Heroes Row the Harlem, the first annual crew race between NYC’s finest: NYPD vs. FDNY. 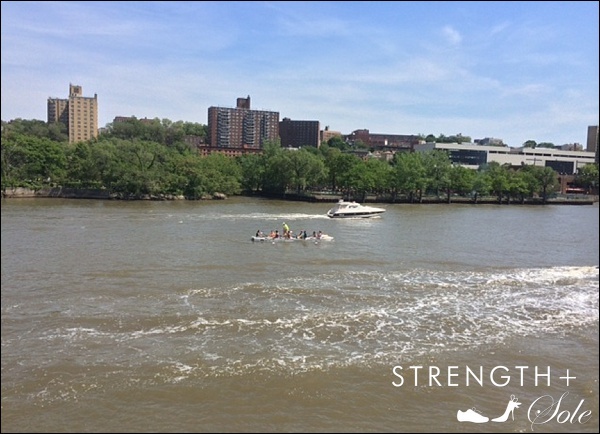 The event was hosted by the non-profit Row New York, which teaches underprivileged kids to row competitively, in partnership with the festival and one of my favorite fitness studios Row House. After the race (P.S. my firemen smoked the cops! ), we got in on the action, hopping aboard a training barge docked at Peter J. 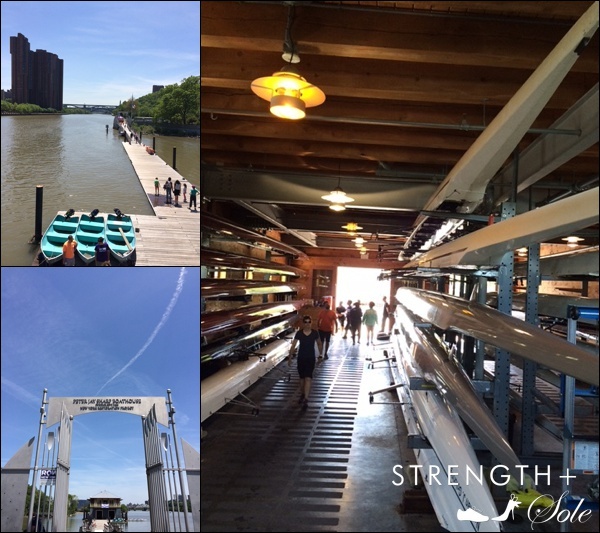 Sharp Boathouse, Row New York’s home base in the Harlem River, with a coach who taught us the ABCs of crew in just over an hour. 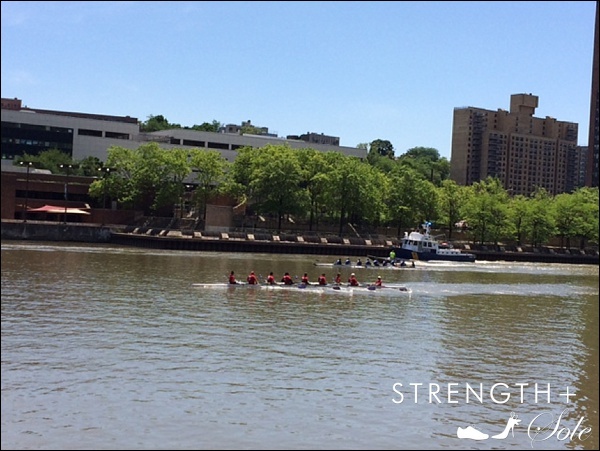 It’s MUCH more complicated on the water than on an erg and a different experience, altogether. When the yachts cruised by at high speeds, we were suddenly drenched in their wake and for me, there was no escape–I got the worst of it. 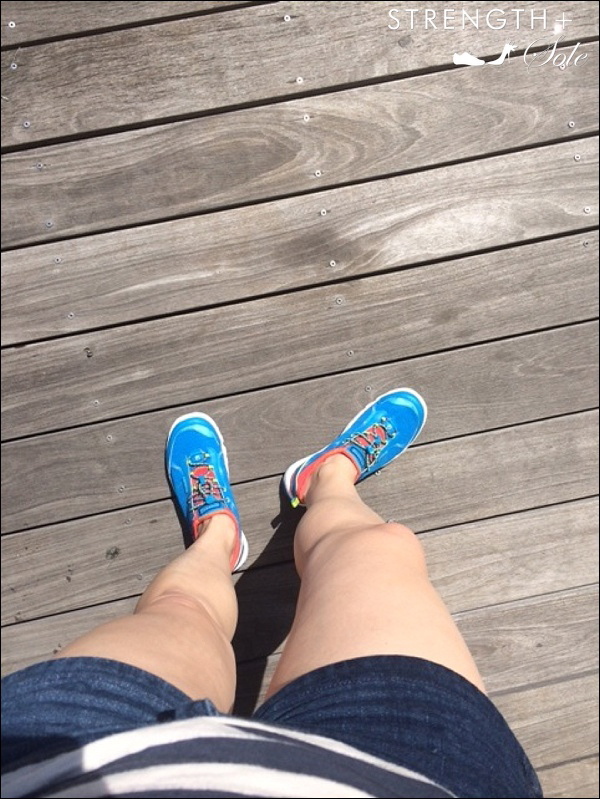 So, I was happy to be in Sperry H2O Escape sneakers. As our coach said, “It IS a water sport.” Ships ahoy! Sneakers provided by Sperry; all thoughts/assessments are my own. Amazing Rachel! You continue to bring us such inspiring stories! And what a blessing Row New York is for those kids! Brava!!! Thank you! Yes–they are a great group. Loved this–doing good while having fun. And, great in the water too! Rachel,, what wonderful experiences and grew stories you are bringing got us ! Thank You !